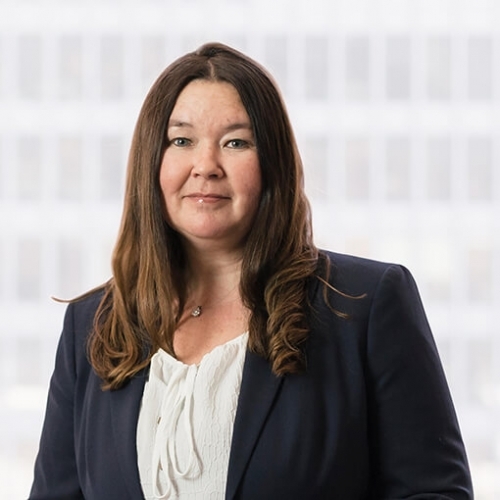 Anita Varjacic articled at Rogers Partners and then joined the firm as an associate in 2002. Anita has a broad litigation practice, which includes health law, energy law, and defence of serious motor vehicle negligence claims, municipal liability claims, and occupiers’ liability claims. Anita has a particular interest in health law and has acted for a variety of health professionals in the defence of medical malpractice claims, errors and omissions, privileging disputes, and disciplinary complaints. Anita has appeared in the Superior Court of Justice, the Divisional Court and the Ontario Court of Appeal, as well as before several administrative tribunals including the Health Professions and Appeal Review Board, the Energy Board, the Financial Services Commission of Ontario, and the Workplace Safety and Appeal Tribunal. Feel free to get in touch with Anita at 416.594.4522 or anita.varjacic@rogerspartners.com.